More than 550 wounded, ill and injured service members from 18 allied nations are expected to compete in the 2018 Invictus Games in Sydney, Oct. 20-27. 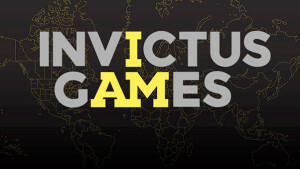 The Defense Department announced May 1 the names of the 72 competitors who will compete on the United States team at the Invictus Games in Sydney, Oct. 20-27. More than 550 wounded, ill and injured service members from 18 allied nations are expected to compete. Competitors will participate in 11 adaptive sports, including archery, athletics, indoor rowing, powerlifting, road cycling, sitting volleyball, swimming, wheelchair basketball, wheelchair rugby, and a new addition this year, sailing — around the iconic Sydney Harbour. The team captain and co-captain have not yet been identified.